How are you doing? I'm okay. Hoping that I'll be able to have another productive day. To get the day started I have the last prompt for this months 30 Days Of Colour Challenge to share. The last prompt is blue and I actually had this polished swatched from when my nails were longer but never shared it. So let's get to it! 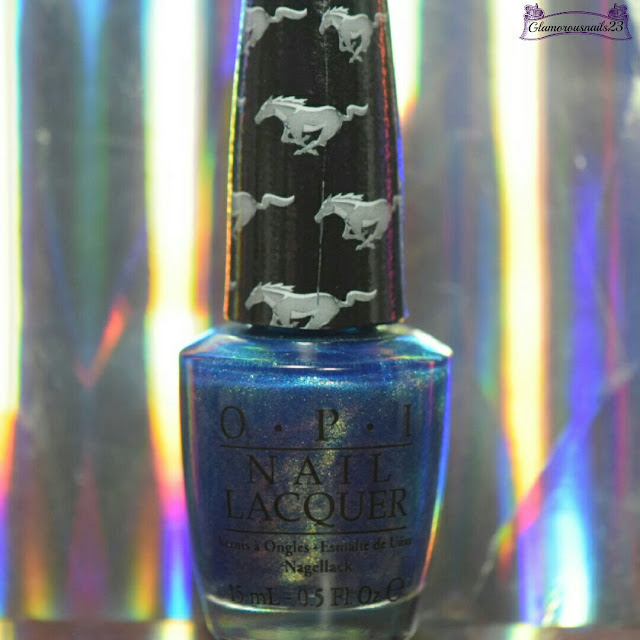 The Sky's My Limit is a metallic blue polish with blue and green shimmer from the O.P.I Mustang Collection. 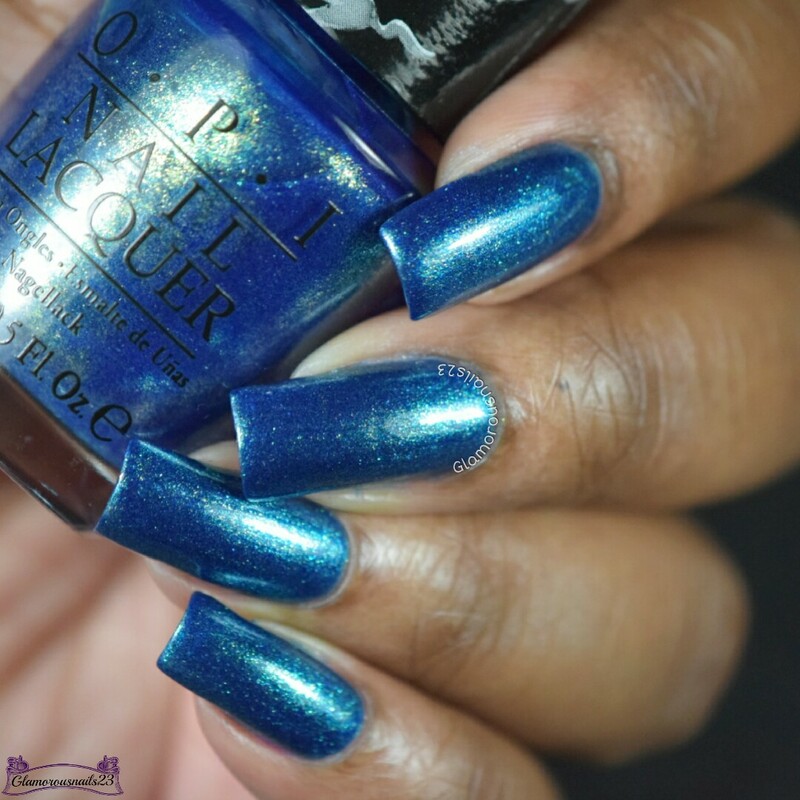 The formula with this polish had a slightly sheer application, applied smoothly and did have good coverage. The Sky's My Limit built to full opacity nicely and had a decent drying time. I could have stopped at two coats but I opted for three for good measure. 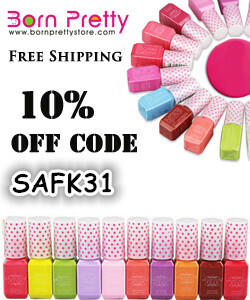 Shown is three thin coats with a glossy top coat. 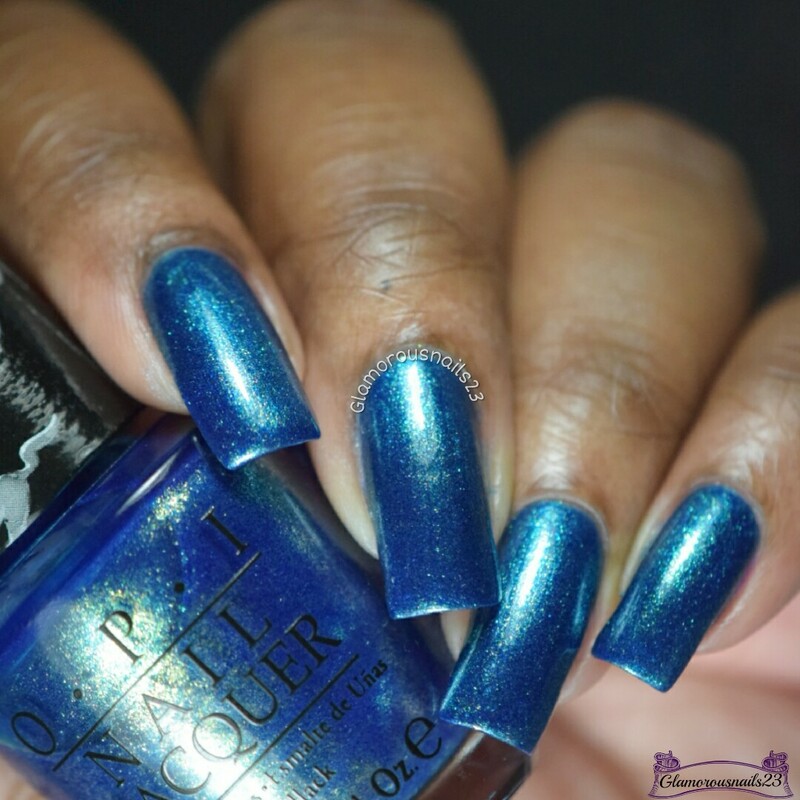 Take a look at the ladies who participated in the blue prompt! Do you own O.P.I The Sky's My Limit? 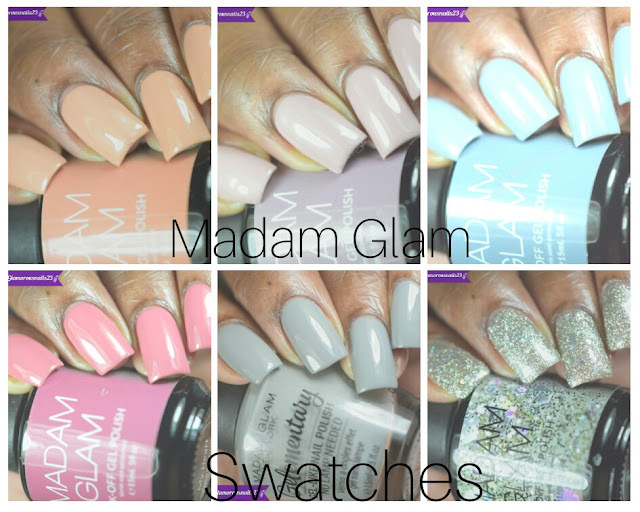 Do you own any polishes from the Mustang Collection? I remember this collection! That's a nice, metallic-y blue. Oh wow, I forgot about this collection. Such a lovely polish on you. I love how you pull out these older colors. This was such a fun collection! Very pretty, I love the shimmer in it. Thanks! I think it's fun to bring out some older polish now and again. 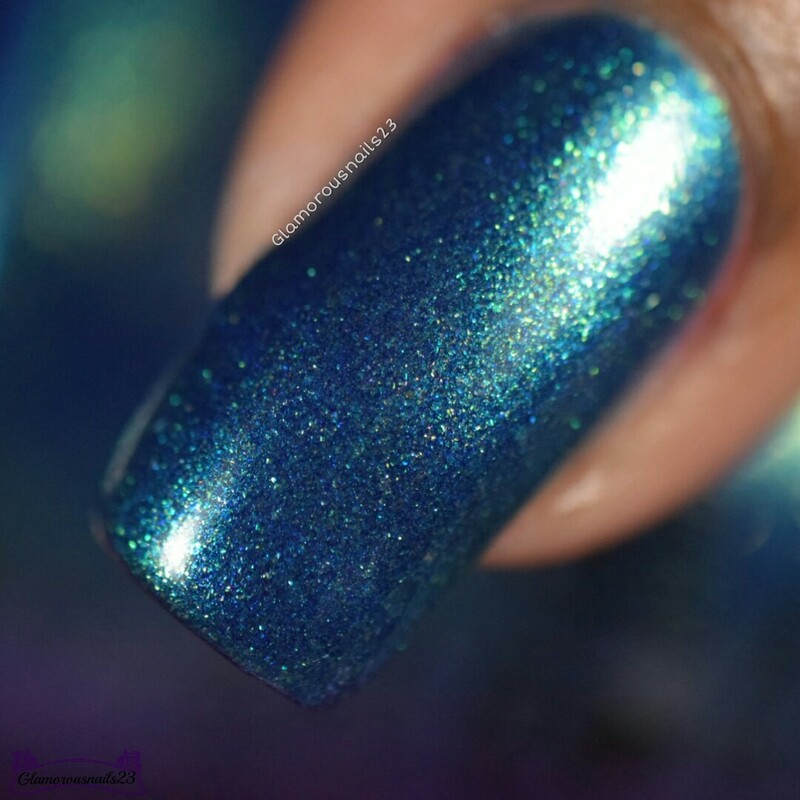 Wow - the shimmer is gorgeous! Love the photos that capture it! 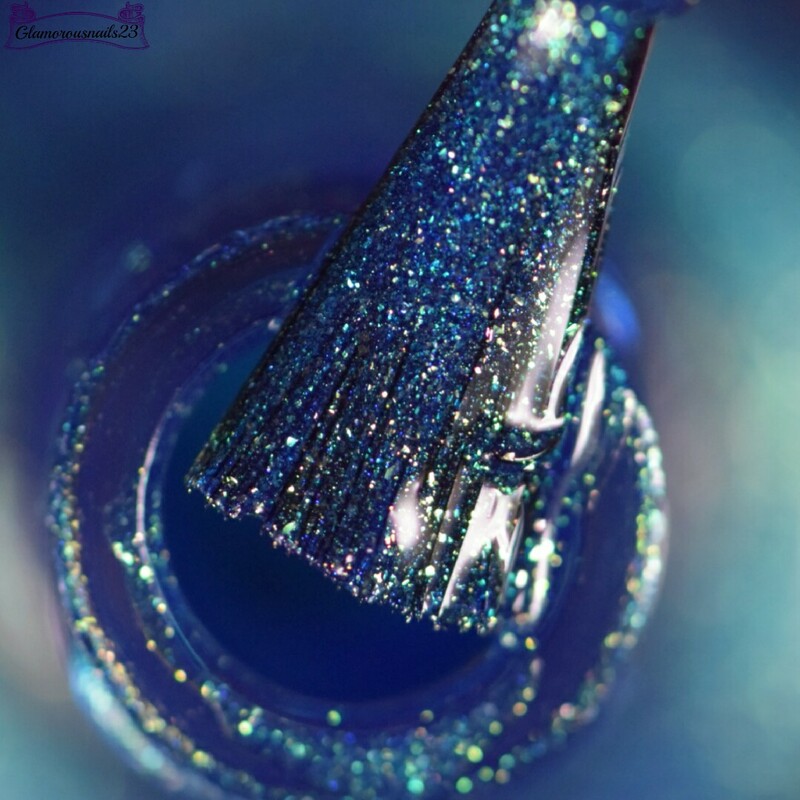 So stunning, I love that shimmer! Wow, that's super pretty! I love how it's got such a unique finish to it that transforms it from a regular blue into something magical. You kill blue! It's beautiful on you. Awe thanks so much Melissa! Exactly! It's such a fun polish. Thanks Jenalyn! It really is! Thanks Kristi!